Arrest and summons quotas for New York police were outlawed in 2010, and although solid evidence of such requirements has been difficult to come by, an audio recording obtained by a New York magazine indicates that the practice continues today. The recording, leaked to The Nation magazine, is only a portion of the evidence currently being reviewed as part of a federal class action lawsuit, Floyd. v. City of New York, brought on by the Center for Constitutional Rights. The recording appears to capture a union representative at a Bronx precinct meeting, advocating for a quota system. An anonymous NYPD officer who spoke with The Nation confirmed the content of the recording: “Twenty-and-one means twenty summonses and one arrest a month,” ranging from parking and moving violations to open container laws. More troubling is that officers depicted the sort of retaliation that they can expect if they fail to meet quotas. This could mean transfers to other boroughs, low evaluation scores and being denied overtime pay. 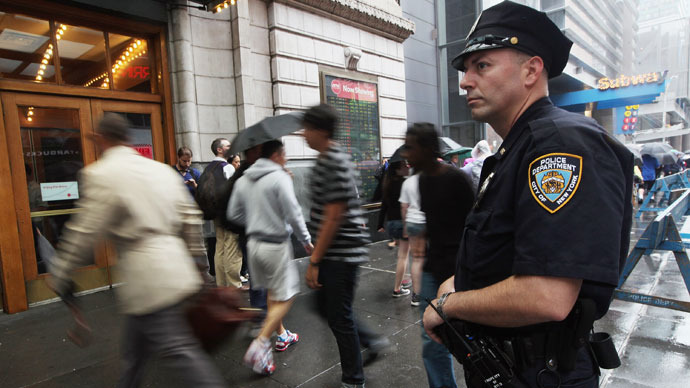 The Floyd v. NYC case, which opened this week in the US District Court for New York’s Southern District, alleges that the NYPD’s emphasis on meeting quotas has resulted in officers carrying out suspicion-less stops, largely in communities of color. The plaintiffs allege that the NYPD’s stop-and-frisk policy results in unconstitutional stops based on racial profiling. John Eterno, a former police captain and co-author of The Crime Numbers Game: Management by Manipulation, says pressure to carry out arrests and summonses has always existed, though it’s now become the “overwhelming management style of the department,” as quoted by The Nation. Adhyl Polanco, the officer responsible for recording the audio evidence in question, has since had charges brought against him by the department for issuing bogus reports.